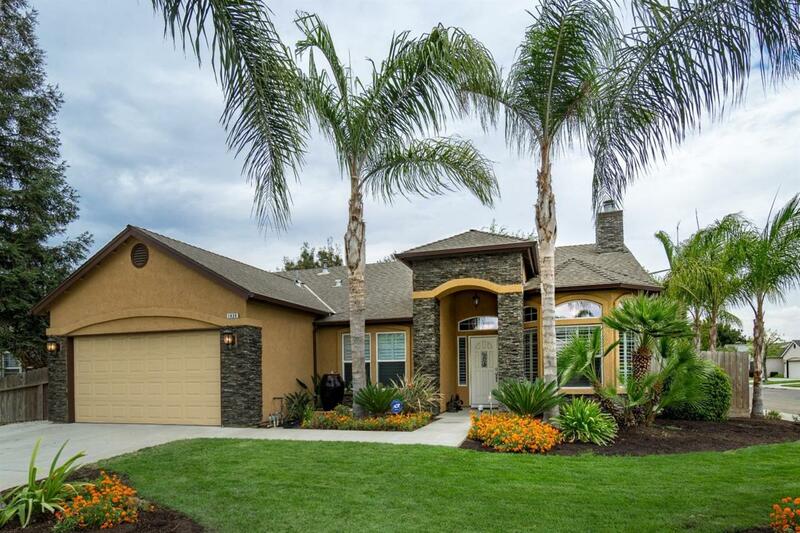 The minute you turn the corner, the eye-catching lush landscape surrounding this beautiful 4 bedrm. 2 bath corner lot home will make you want to see what's inside! 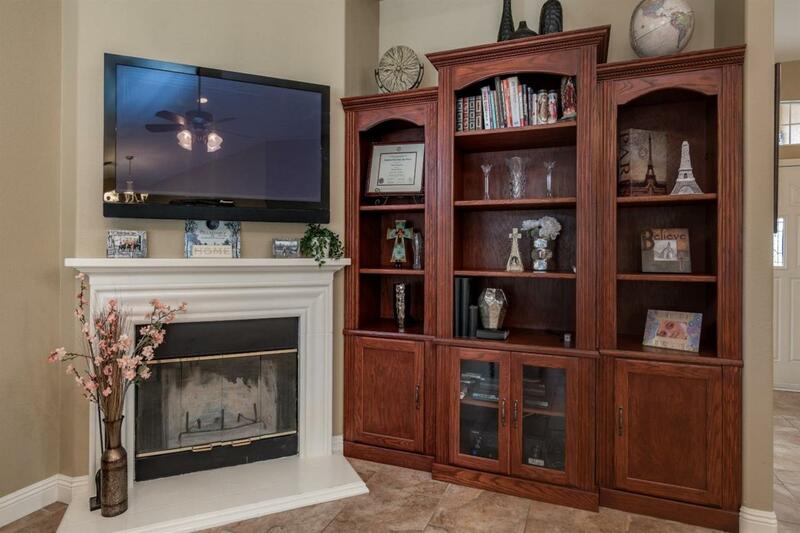 Once you enter, you will immediately be impressed by the huge entry and vary spacious tiled great room with fireplace, which opens up to the kitchen on one side and extra dining room, office or living room on the other (w/built-in bar). 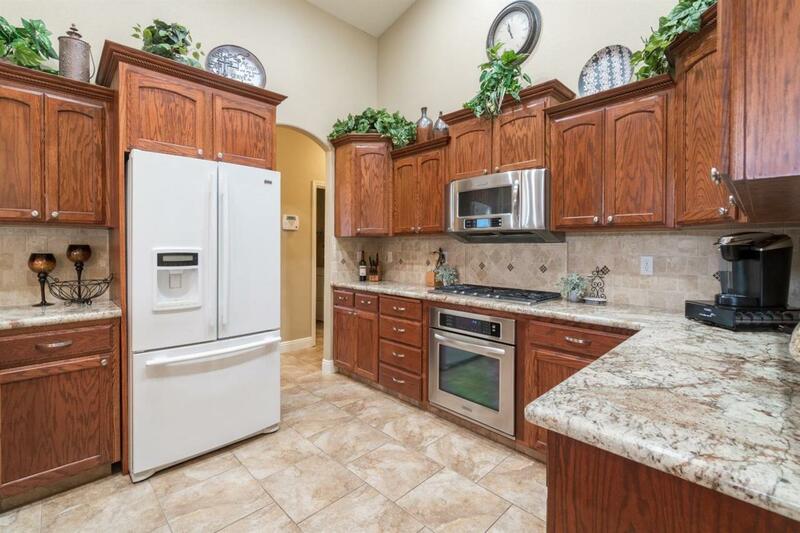 Kitchen features s/steel Kitchen Aid appliances and the most gorgeous granite with 2-tiered bar seating area & tons of counter space for cooking and enjoying many family and friends. You can take the party outside from here and enjoy the huge cemented patio area, which also wraps around the house. Beautiful backdrops of windows with plantation shutters surround each main indoor living space and there's added canned lighting which makes this home warm, bright and very inviting. Master suite has a fireplace, tiled spa tub w/a separate shower & slider to patio. Better hurry to see this beauty! 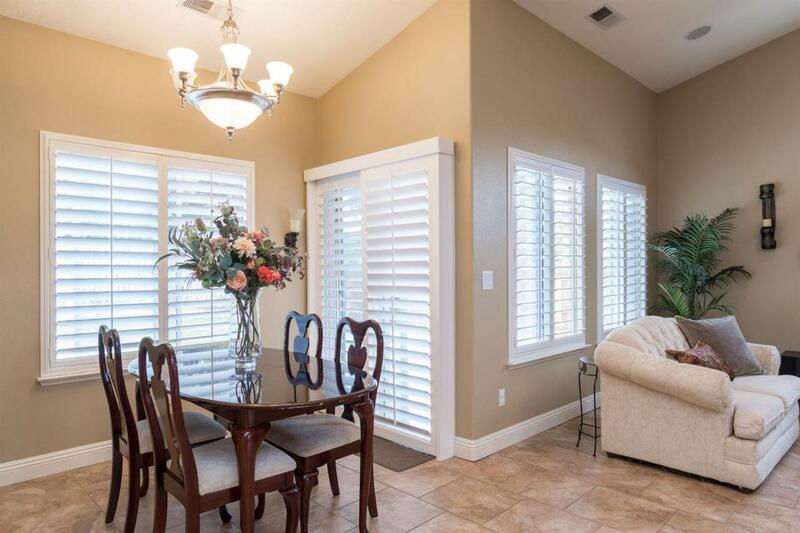 Listing provided courtesy of Michael Webber of London Properties-Clovis.